Many visitors come to Sapa and enjoy a lot of delicious dishes, among them are the dishes cooked from many kinds of local vegetables. Apart from the famous chayote vegetable, visitors are also impressed by a kind of vegetable which has a special bitterness. That is bitter cabbage (people commonly call it Meo cabbage) – a kind of pure vegetable in Sapa. 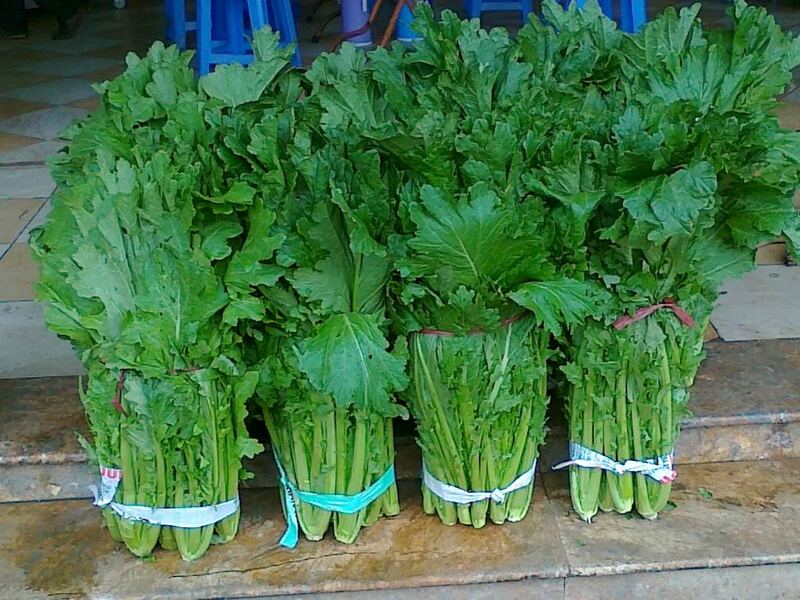 Meo cabbage is also a kind of cabbage that is planted widely in Sapa. Meo cabbage is in the breed of vegetables that have ocreae. It has deep green leaves which are wavy in the fringe, some have down and some do not. 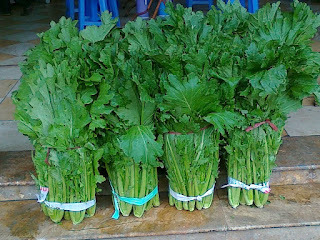 The kind of Meo cabbage which is small and has down in the leaves is more delicious. Formerly, people only plant Meo cabbage to eat and do not sell so that they do not appreciate it. Normally, the local people did not plant cabbages in rows or beds but only sowed the seed around the fields and hills and let them grow naturally. The cabbagse then kept on growing up and verdant. Actually, Meo cabbage is a pure and rare specialty which is very delicious and crispy. Meo cabbages are strictly selected by the nature so they have vehement vitality, grow strongly and they can resist pestilent insects very well. They are planted in slots of fertile land, especially the low hills and they can even grow in infertile land. When coming to the house of a Mong family, if you are invited to stay and have meal, the owners just go to the hill and pick some cabbages which nip in the small caves or cut some ocreae of cabbge and then they will have a dish of pure vegetable to treat the guests. Meo cabbages in Sapa are often cooked by the local people in many methods such as frying, boiling or eating with pot-au-feu. Normally, to process in the simplest way, they only chop the vegetable, bounce the ginger, pour water and heat it up then they have a nice bowl of soup which is suitable for visitors who drink wine. More sophisticated, they can cook the vegetable with chopped chicken and add spices, ginger, fish sauce and salt. Eaters will find an unique taste. The sweetness of chicken blends with the sweetness, coolness and bitterness of the cabbage so that eaters won’t find greasy. The Meo cabbage is also appealing if it is cooked with beef, especially smoked beef. The crispy, tough and bitter threads of vegetable combine with the smoked meat of unique moreish taste making up a distinct feature for the highland cuisine. Many people even rank Meo cabbages in the list of vegetables that are eaten with pot-au-feu. For it easier to eat, use the young cabbage which has only some green leaves sprouted and soak them in the hot pot-au-feu, eaters will find the cool sweetness and freshness of the vegetables. Remember that whatever kind of dish you cook, wrench the vegetables into pieces but not slice to keep the moreish taste of the vegetable. 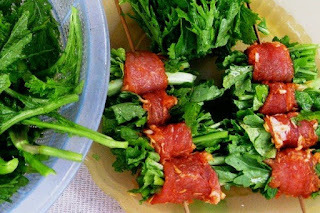 Only need some thousands VND and a bundle of vegetables when going to the market, the consumers can cook a simple and delicious dish from Meo cabbages.